Everything you need to know about Pai Gow Poker - explained. You’re a (huge) fan of some Poker variant. Maybe or Casino Hold’em. And you want to expand your horizons. You discovered there is this Pai Gow Poker game based on the Chinese domino game Pai Gow. And you can’t help yourself but find out more about it. Okay, that was not really a guess. It’s how my story with Pai Gow Poker started. Your story may have a completely different beginning. But it led you here. - it’s all covered in this article. Poker is a pretty universal card game. That’s one of the in the first place. You always get some cards and you need to make a combination that beats other players or the dealer. Sometimes you can bluff your way to the pot. Sometimes you get five cards instead of two. Sometimes you can make some side bets during the gameplay. What’s the catch with Pai Gow Poker? You get seven cards instead of two or five. You need to make two winning hands instead of one. You play against the dealer rather than other players. There is a Joker in the 53-card deck that works as a wild card (sometimes). That makes Pai Gow Poker one of the most unique Poker variants out there. Pai Gow Poker is not a very common game at Casinos. It’s a slow-paced game with a lot of pushes. Around 35 percent of all hands will end up in a push. The brick-and-mortar Casinos often don’t spare time for that. The ones that do (online Casinos included) charge a five percent commission every time you win. You can play the game with a group of players at the table. All playing against the dealer who, in Pai Gow Poker, is called the banker. a five-card hand (the high hand). The low hand has to be of a lower Poker rank than the high hand, hence the name. Yet, your low hand has to beat the banker’s low hand. Just like the high hand needs to beat the banker’s high hand. That’s the only way you win. If one hand is higher than the banker’s but the other one is lower, it’s a push. If both hands are lower, the banker wins. When you play at land-based Casinos, making your low hand higher than the high hand results in a foul and you lose your bet. When that happens online, the Casino notifies you to modify your hands. Pai Gow Poker has a house edge of approximately 2.84 percent. So, it’s more or less on the same level as Roulette. It’s not the most player-friendly game to play at a Casino, obviously. You have a lot better odds when you play Blackjack or Video Poker. 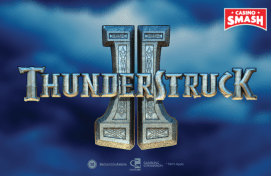 Yet, it’s still better than many other Casino games. Plus, if you take advantage of the optimal strategy, you can lower the house edge to 2.53 percent. That, my friend, beats the Roulette, too. The banker deals seven cards to each player from the deck including a Joker. Thus, there are a lot more chances to land the rare Poker hands, e.g. Straight Flush. Don’t get too excited about the Joker. It works as a wild card only when it takes a place of an Ace or can help to complete a Straight, a Flush, or a Straight Flush. In the end, no matter how good of a hand you get, all winnings payout 1 to 1. Like with most Poker variants and card games, you need a strategy to make sure you’re not wasting your money at the Pai Gow table. Of course, Pai Gow Poker doesn't have a perfect all-in-one strategy leading you to nothing but winnings. There is an optimal strategy you can use, though. It will reduce the house edge and will help you to win more. 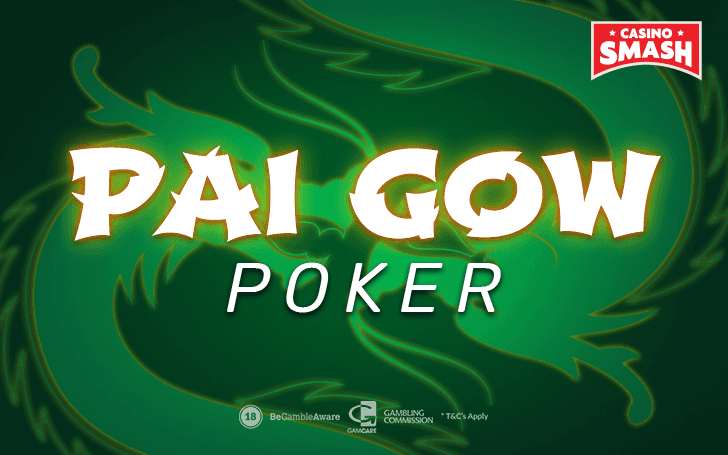 Did you know that you can play Pai Gow Poker for free online? Practice Pai Gow Poker, perfect your strategy, and start winning in no time! In a nutshell, Pai Gow Poker optimal strategy explains how to set up your two hands. It’s based on the seven cards you get and the combinations out of them that have the best odds of winning. Okay, it's not really a part of the strategy but it will make much more sense to play for free and follow the tips in practice than to read and imagine them in theory. Step #2: Make a free bet, press deal, and check what you’ve got. If you played Texas Hold'em or different kind of Poker, what would be the best combination you could make out of these seven hands? Two pair? Three of a Kind? Perhaps a Straight? Step #4: Find that highest possible combination that you hold and then check the table below to see what to do with it. Following this strategy may seem counterintuitive when you play the first few times. Your gut instinct will tell you to go make the highest five-card hand possible first. That’s the biggest mistake Pai Gow Poker players make. Don’t underestimate the low hand. It needs to beat the banker’s low hand just as much as the high hand needs to beat their high hand. You can only win with two strong hands. Thus, make sure to make the highest possible two-card hand. Sure, it cannot beat the high hand but it needs to be as strong or only slightly weaker. You can always play . But the real excitement starts when you make real money bets. Since more than a third of rounds end in push, Pai Gow Poker is not a fast way to make money. At the same time, it’s not a fast way to lose money either. Unless you have a bankroll of $100 and make bets of $50-100 per round. If that’s how you play, no strategy can help you. You’ll either be super lucky or lose it all in one go. Usually, you can play Pai Gow Poker online with a $1 minimum bet and $100 max one. Choose the bets based on your bankroll. It can be 1/10 or 1/100 of it wagered per round. It depends how long you want to play and how much you afford to lose in the worst case scenario. Don’t have an account at online Casino that offers Pai Gow Poker? , make your first deposit, and get a welcome bonus while you’re at it! Follow the mentioned strategy to maximize your odds and, most importantly, enjoy! If you see that Pai Gow Poker is not the game for you, you can always try different Casino games - there are hundreds of them online! Bonus info: terms and conditions apply to the offer. If something isn't clear, have a look at our review of PlayAmo for the T&Cs in full. The offer on this article might have expired by the time you read it. Please refer to the review pages for the latest bonuses and promotions available.